Google Plus is still the new kid on the social media block. With 500 million users registered as of January 2013, most users still treat + as the red headed step child. This may be due to slow adoption and a tricky interface. Here are some useful tips, tricks, hacks, extensions, and apps for novices and experts alike to enhance your Google Plus experience and maximize the most out of your account. If you are a Plus Pro, skip ahead to the next section while we get some basics out of the way. Your circles, descriptions of circles, and the people in the circles are not visible to anyone else but you. Choose which circles to be visible on your page by editing your profile and going into “Circles”. This is the equivalent of the Facebook “Like”. Everything you have ever +1 can be viewed and managed with the +1 tab on the top, horizontal column. Click on a user’s profile pic to scroll through their pictures. Send a private message by removing all circles from your upcoming post. Then type the name of the person or circle you want to see the post, and make sure to disable resharing. You can add photos, videos, and links to your posts by dragging the links directly to the share box. One of the wonderful things about Google+ posts and pictures is the endless editing. Click the “Edit” button to do this. Delete posts by clicking “Delete this Post” in the top-right corner; delete any comment by clicking the “X”. You can disable comments or reshare for posts written by you. Click on the triangle in the right corner of the post and select “Disable Comments” or “Disable Reshare”. Input any user’s name, select “Edit Profile”, and make the alterations to your profile for only that specific person. Get real time Google Plus notifications of updates and messages with the Surplus extension. You can reply from within the Surplus extension and create new posts without leaving the website you are currently on. Have you seen your circle number decrease? Install Plus Minus to see who unfollows or removes you from their Google Plus circle. A pop up automatically appears on your browser whenever someone cuts the cord with you. Plus Minus does not currently work, the author is working on an update. Let’s be honest, some people can be annoying on social media. This notification mutes all posts for specific users. These users won’t be notified. Hooray! There’s a limit of 5,000 for the total number of profiles that can be included across all your circles. This includes +pages. There’s also an unknown daily limit to prevent spammers. If either of these penalties happen to you, there’s a sweet app called Circloscope that lets you clean out inactive Google Plus users. Set a “No Posts Since” date to remove people who aren’t posting. This nifty extension lets you share content to Twitter, Facebook and / or LinkedIn when posting a status or media on Google Plus. This extension hides highlighted posts from your Google+ stream that are only there because someone in your circles +1’ed them. Get rid of this annoying feature with this “Hide Highlighted Posts” extension. The official Google Plus App just got a brand new update and it’s impressive in speed and beauty. Share your life as it happens with Google+ for iPhone, iPad, and Android. Join a Hangout, post a photo, or see what friends are sharing while you’re on the go. Post to Google+, Facebook, and Twitter at the same time thanks to iStatus Plus. Choose which circles to share with when posting to Google +. Toggle services with just one click. UPDATE: Looks like this app has the rare one-star review due to bugs. The app owners claim they have fixed them all, so think before paying a buck for this feature. Move2Plus is a sweet and simple app that copies over all of your Facebook albums, photos, and captions to your Google Plus account. This is done without losing album structure or creating any duplicates. None of your Facebook or Google+ albums or photos will be edited or deleted. Ever get catfished or fooled by online dating? First of all, I’m so sorry, and secondly, this dating networking app allows users to connect to Google Plus in order to verify that you are a real person. This app is strictly used for confidence in knowing who you are talking to his (maybe) real. “Hangouts” are video calls perfect for a live presentation, small business meeting or get together with friends. Simply click “Start a Hangout”, send out the invitations, confirm your settings, then “Hang Out”. You can invite up to ten people; adding people once the hangout has started is allowed. One amazing thing about “Hangouts” is interacting with people speaking different languages. Translate their talk with Google’s “Listen” feature. Every hour in a Google Hangout you spend 720MB of bandwidth, so keep an eye out on your bandwidth consumption. “Hangouts” are not available for mobile yet. 7/15/2013 UPDATE: Hangouts is filling the void of Google Talk and becoming the future of Google Voice by allowing unlimited free calling from the web to phone numbers in the US or Canada, and all other countries that allow Google Hangouts. Simply click “Call a phone” in the Menu to place a call. Add sound effects to your phone call with Google Effects app. Hashtags aren’t for Twitter or Instagram any more! Hashtags for Google Plus are a great way to get noticed in Google Plus’ Search. Google Plus is a giant search engine, so hashtags are extremely helpful for searching whatever you’d like. Add a # before any word you want to be searched for. You can literally hashtag any word you’d like. This works on both posts and now comments. You can search for hashtags by your friends only by filtering Google Plus search using Hashtags and Circles. Search for your hashtags only by filtering the search results by choosing the “From You” option. If you want to move your Instagram pictures over to Google Plus, use Instagram archive website Instaport. Move your Facebook pictures to Google Plus with web application Picasa. Thanks to “Social Anywhere”, connect your Facebook stream to your Google Plus and never leave Google again. UPDATE: Seems like Social Anywhere does not work anymore. Is Google Plus blocked at work? Use this clever work-around that turns your Google Plus into an RSS feed. Here’s a fun little way to keep track of your bookmarks. Create a new circle and name it “Bookmarks” or whatever you want. Don’t add anyone in it. Any links you want to save, share them with this circle. Interested in seeing what people are saying about you or your brand on Google Plus? Check out Topsy’s Google Plus Beta Search. Topsy provides instant search results and analytics for Google Plus and Twitter as well. Topsy is also great for checking out what’s currently trending on Google Plus. The Google Plus video chat uses standard definition. You shouldn’t have to stand for that in 2013. Enable High Definition if your webcam is built for it. Click the triangle next to the chat and choose “Enable High Resolution Video” in the settings. 7/15/2013 UPDATE: Austin Putnam added some tips on our Google Plus regarding the use of Circles for things other than sharing with people. This circle has only one member, which will be an e-mail address. It is the custom e-mail that Evernote provides each user for you to send notes to your own notebook. If I want to save something there from Google+, simply share it to the Evernote circle. Note: this works with any service that provides you a custom e-mail through which to submit things. This is also an empty circle. Any time posts contain handy tips, share it to your ProTips circle, which you can go back and read through. This is another empty circle. Any time you see something on Google that you want to read later, simply share it to this circle. Then read the posts at a later time by opening the circle. If you want to reply to something, use the handy “originally shared” link. Now that you are a Google Plus pro, add HostDime on Google Plus. Looking to leave your current web host? 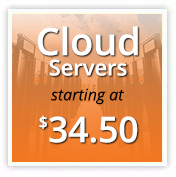 Use coupon code GPLUS15 for 15% off recurring each and every month on any HostDime web hosting plan. Jared S. is HostDime’s Technology Writer. Follow him on Google Plus. Social Anywhere isn’t working right for me in Chrome, and recent reviews on the Chrome Web Store agree that it is broken. In Social Anywhere’s video, they’re using an earlier version of Google+, so maybe it didn’t get upgraded to the current (in March 2013) Google+. Some great tips there, Jared – thank you! Hi Jared, great resource here. Google+ has slowly become my social network of choice. I did want to let readers know that a shortened Google+ vanity URL created by http://GPlus.to will 302 redirect (temporary redirect) back to your Google+ profile page. More popular URL shorteners will 301 redirect (permanent redirect) back to your URL. Probably a non-issue for most readers, but I thought I’d throw it out there. Thanks for sharing! Nice! Thanks for the advice Brian. I am trying to circle people from my brand’s page and it is only letting me add 50 at a time?? from Google + Help page: “There’s a limit of 5,000 for the total number of profiles that can be included across all your circles. This includes +pages. How to watch pictures from others in a slide show? To start a slideshow, click on any photo in their album to open it in lightbox view and click Slideshow at the top. Hi. Thanks for this guide. I was wondering if anybody knows how to quickly scroll to the bottom of comments on the Google Plus Mobile app? as far as I can tell, there isn’t a way to scroll to the bottom if there are many comments. have you figured out anything more? How do I copy pictures that haved been shared with me onto my iPad? Is there any plugins/extension that automatically circle all in one click? Its hassle to add them one by one. I haven’t tried it personally, but iStatus is being seriously panned in the iTunes reviews. Currently a one-star app. And I find those to be pretty rare. I think the link for the “G+ to RSS Feed” is broken or nonexistent. Would you mind giving me the link for it? Great post. I will be dealing with a few of these issues as well. Thanks a lot for wonderful tips! Love it! Thank you #Jared S for writing such nice, still lengthy bold & real world scenario post. I read this post one time and definitely Bookmark this post for future reference. I am work for one of the top engineering colleges in Uttarakhand which actually imply the rules and compliance made by AICTE, UGC. I want to post photos in landsacpe mode. can any guide me and also import post from old FB page to new Google plus acount. Can I talk with my facebook’s friends in Google Plus (Hangout text chat)? I don’t think so. Facebook and Google don’t really play well together. Any way to bust up the “suggested” options? I do not need no stinking suggestions! unfortunately not, you’re stuck with them for now. There are apps for Facebook – like Graffiti – that let you automatically post a status update to FB whenever you publish a post on WordPress. I can’t find anything like that for G+ – do you know of anything? 1) receive email notifications of the message threads? 2) see the entire posting and following comments related to that posting. Great post on Google+. I have a question – is there a way to ‘follow’ a particular post in a Google+ community so that when someone comments, the comments are emailed to me? On Facebook, when you press ‘like’ you get all the comments to that post emailed to you. Does that happen when you +1 a post? If not, do you have any suggestions on how to follow comments on a specific Google+ post? My friend said you can do a hashtag and something will appear on the screen, like a pony! This is huge list of great extentions you provided for us to check. Also there are only 7 of them whom I know, all the others are new for me to test and as this is huge list it will take time for me to test all of them. Thanks for sharing them here. This is great – is there anyway to undelete a post you delete, or perhaps archived somewhere on the internet? Cheers. I was wondering how I might access (Blocked) Google Plus. See, My father is using a NETGEAR security feature that blocks social media and youtube. My iPad only reveals two lines of text attached to photos posted on google+ blog posts. How do I extend visibility to cover the entire text for each photo posted. Is there a quicker way to get to the bottom (start) of a google plus page than scrolling down? 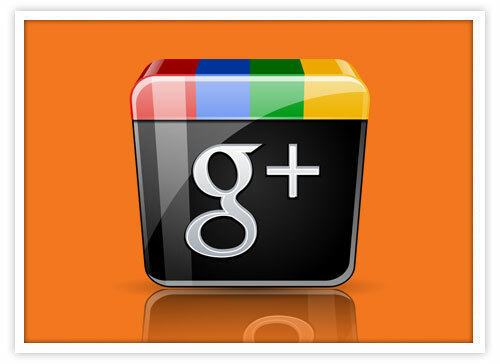 Is there any Marketing tool for Google+ ? Sign to google ?? i think you can do it first to create gmail.